In 1962, President John F. Kennedy signed a proclamation which designated May 15th as Peace Officers Memorial Day and the week in which that date falls as National Police Week. Traditionally, the local Fraternal Order of Police (F.O.P.) Burgess-Mills Lodge #11 conducts a Law Enforcement Memorial Service at the Kingsport Justice Center during National Police Week. 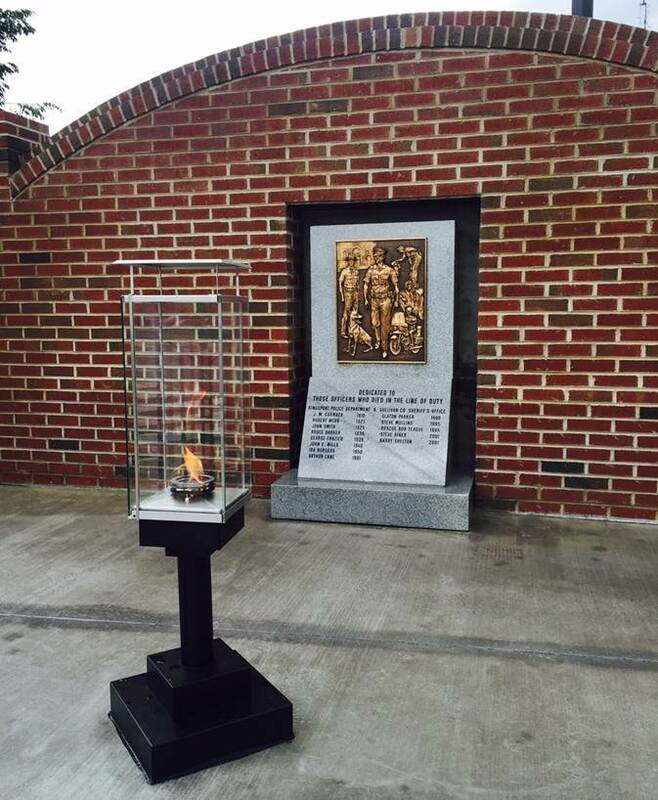 The service this year will be held this coming Monday, May 8, 2017 at 4:00 PM at the Kingsport Police Department Law Enforcement Memorial and Eternal Flame, located on the corner of West Market and Clay Streets in Downtown Kingsport. The department extends an open invitation to anyone who would like to join us as we remember and honor our local fallen officers, as well as all fallen officers throughout the nation. “Today, in the United States, some 900,000 law enforcement officers put their lives on the line for the safety and protection of others. They serve with valor and distinction – and with great success. Federal statistics show that violent and property crime rates in the United States are at historic lows, thanks in large measure to the dedicated service of the men and women of law enforcement. Granddaughter of Ira H Burgess and daughter of Cecil Elmo Burgess, both former police officers with the Kingsport Police Department.